And then we got our hind ends kicked around by Nuclear Throne for a couple more hours. Unfortunately, roguelikes (especially of the real-time variety) aren't especially conducive to the classic "Heroes experience hardship, then go through a super dope montage, then achieve their goal and also get a million dollars or whatever" trope. Because of the way the game works, there's no guarantee that the heights you reached a mere two hours before will be seen again in the following fourteen. Hopefully, that doesn't mean that Taylor and I are locked into our Ascension Quest (tm) for the next twenty-three years, but it does mean that we can't assume victory is divinely assured each session. If we want this, we're going to have to fight for it. Tooth and nail. 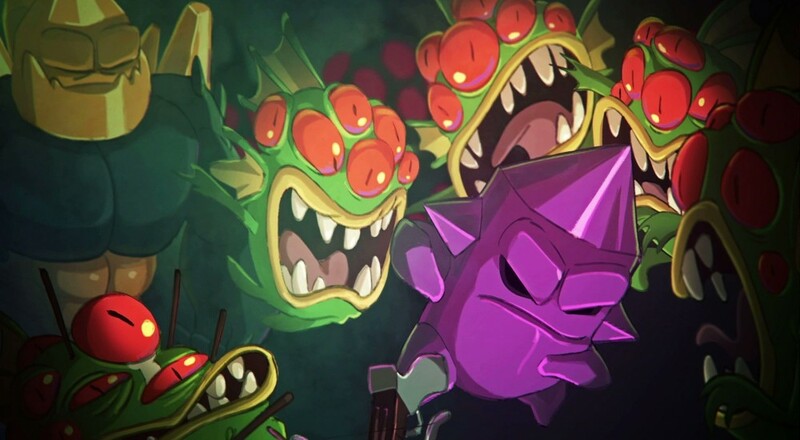 So, you can probably guess what doesn't happen in Acts 8, 9, and 10 of "Ascend the Nuclear Throne", but I'd recommend checking 'em out anyway, at least to make our eventual triumph that much sweeter. Thanks for watching! Check us out again this Thursday at 8:30 PM EST on Twitch or the front page for more co-op goodness. Page created in 0.6680 seconds.